Great yearly meetings on SDL items for both point of view customers and engineers (SDL Innovate). I like that it is likewise exceptionally adaptable and gives you the adaptability to deal with your consents. The engineer API gives noteworthy access to the hidden information structures. Squiz was the primary system I figured out how to use at this position and its a simple project to explore. Squiz's methodology can amaze customers who've had involvement with different CMS. Developers who begin with Squiz need to alter their opinions to see how to make their answers with this CMF. There was a great deal of customize and information control connected with stacking new items into the framework. Squiz is utilizing the same database structure for a considerable length of time, not on the grounds that its an old structure, but rather on the grounds that the structure was exceptionally sensible from the begining of the venture. Mostly corporate B2C sites with light combinations to eCommerce and other outside frameworks. 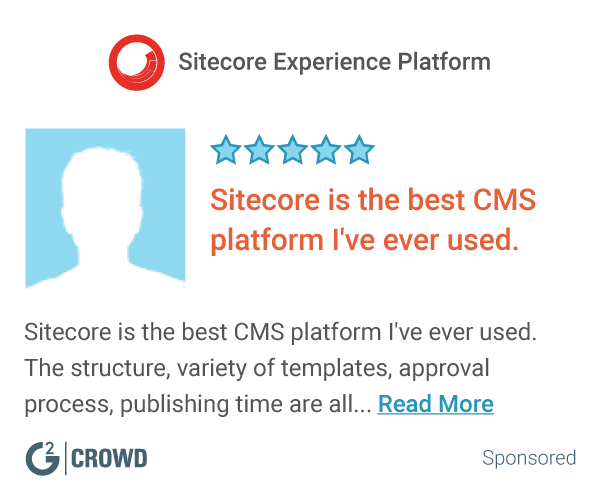 "A rock solid solution to Content Management." Squiz were exceptionally good at building and launching our website. They understood our requirements and translated them into a realistic backlog. Where we hit areas of difference, we had professional and effective discussions to find suitable compromises. User Interface was good but heavy, with Java powering the backbone I recall finding this somewhat troublesome at the time. While working with Department of Primary Industries we integrated squiz to host all internet based services, including the intranet. We felt that this CMS addressed all of our requirements, heavily focused on standards, best practice, highly customizable distributed publishing while allowing for scale. I believe the platform is still being used today, now around 7 years later. "Enterprise Level CMS, Very flesible and customisable"
SquizMatriix is powerful CMS with lots of features and flexibility. Love the ability to customise everything without touching code. Having multiple completely separate websites within one system and an ability to share content between them is great. It is a very stable CMS, we have been using it for over 9 years without any unscheduled downtime. With latest versions it is becoming evident that there is less focus on open source and community and more focus on commercialization and professional development servies. If you don't have knowledge of CMS can get expensive in development. On a technical side as other reviewers noted can get slow if many editors logged in simultaneously, but then that is problem for most CMS products. Upgrades can get complex as well. Get Squiz to do a demo. You can build fantastic websites on any product but, maintaining them in an easy fashion is what SquizMatrix excels in. Having a very complex business with variety of external systems and multiple websites, SquizMatrix helps tie it all together and respond quickly (now that we have in-house knowledge) to changes. "Have loved using Squiz Matrix for the past 11 years!" The flexibility. If you can think of it, you can do it in Matrix. From building a JSON backend for our mobile apps to managing thousands of pages, Matrix can do it all. The installation process has always been something for server admins to do. Allowing us to build our website very quickly while not having to worry about if what we want to do it possible. We continually benefit from the power of Matrix in our day to day work. "Supported open-source provides the best of both worlds!" Squiz provide a 'supported' open-source service which not only gives us the security of having someone to contact 24/7 if the site goes down but also comes with a community of users and developers to tap into for further help and enquiry. It supports multiple sites - we currently have 4 on the same instance, including an Intranet) and has an extensive range of features to improve your content management. Squiz Matrix is a great CMS but without expert knowledge of the CMS it can be costly for development work. Anyone considering implementing a CMS - contact Squiz for a demo. Being able to see how the product works in practice is as valuable as meeting the team who come with it. Squiz Matrix has enabled us to streamline our web content management including being able to successfully divulge content editing around the organisation. Knowing the product well has also meant that we have been able to undertake in-house development with ease and reserve time with Squiz on a consultancy level. The strongest suit for Squiz Matrix was the clear and simple user interface it provided, that gives confidence to non-expert users, while never seeming at all underpowered or limited in functionality. It does what so many other systems try and fail to do - do the complicated stuff for the technical people, while enabling simple stress-free editing for the basic user. Nothing different to any other CMS - it can be slow to process at times, when there are a large number of people using it at the same time. If you are looking for a tool that everyone in your organisation can engage with without fear, this is as good as it gets. As easy as Wordpress, and as powerful as Drupal. It's a real world solution with great support and extensibility. There were two core problems - a requirement for devolved content management, while enabling strong cross selling and systems integration. It successfully enabled both very well. "Extensive CMS, Fully customisable but can be time consuming"
Squiz is an enterprise CMS and it doesn't scrimp on features. If you talk to the Squiz team, nothing is out of scope and Squiz Matrix can be coupled with any type of CRM or document management platform out there. It comes with many features that other comparable CMS don't and I often find myself opting for Squiz Matrix when others don't come up to scratch. Squiz Matrix (and it's predecessor MySource Matrix) are essentially open source platforms but they can't be compared to other open source platforms. There is less of a community developing for it and installation and server maintenance is a complicated business. With the advent of Squiz Matrix 5 they have dropped their open source tag so it can be expensive to opt for this platform now, which acts as a barrier to selecting Squiz Matrix unless you can have a long term investment. The extensibility of using one platform for multiple systems and projects is great and must be exploited to fully utilise Squiz Matrix within an organisation. It could be used for publicly accessed systems, simple websites and intranets. "Tough start, but we're onto a good thing." The flexibility of the Squiz platform is great - it lets us do all sorts of things to develop in new and innovative ways. We had some teething trouble to start with due to the complex nature of our business. This was exacerbated by a high turnover of Squiz-client account managers. This has now been sorted out. Make sure that you know exactly what you need - Squiz will help you work out how to deliver it, but the clearer the initial instructions, the better. The need to develop complex solutions to many different elements of our business. We're able to surface content in ways that enable our users to see all the hidden gems we have to offer. We're able to control development of our online resources at the speed and in the manner we wish to do so. "Flexible and able to answer a wide range of business requirements. " It's flexibility for content management for different types of users and it's ability to link up to other online tools. Whilst Squiz provides a wide range of link ups to e-commerce providers, it takes quite a bit of work to upgrade or change this facility. I know that this is not unique to Squiz, but it would be great if this was a more standard process. We're solving a diverse range of online needs for a membership organisation - from corporate access to content, selling products, and linking to various databases. Sometimes the sales could be pushy but you are forgiven. * We monitor all Squiz Matrix reviews to prevent fraudulent reviews and keep review quality high. We do not post reviews by company employees or direct competitors. Validated reviews require the user to submit a screenshot of the product containing their user ID, in order to verify a user is an actual user of the product. Hi there! 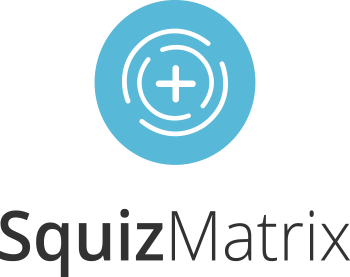 Are you looking to implement a solution like Squiz Matrix?